There is no better way of savouring the delights of living in the beautiful countryside of the Brecon Beacons than staying on a Caravan Park or Campsite. 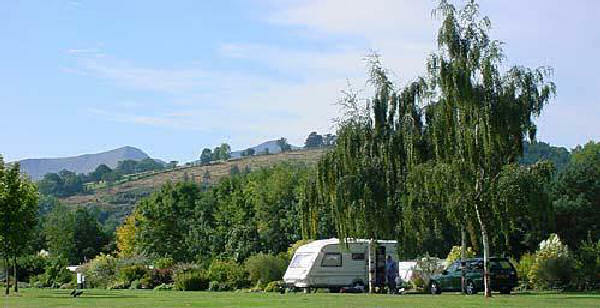 A list of Caravan and Camping accommodation establishments listed throughout the Brecon Beacons. Grawen Caravan and Camping Park Merthyr Tydfil Contact for Details Situated inside the Brecon Beacons National Park with it's Mountain, Forest & Reservoir walks. Pen-Y-Dre also has a small select caravan park. Ty Mynydd Farm Hay on Wye Herefordshire £60.00 Large 18 foot tipi is perfect for families wanting a stress free, old style type of holiday.